In the coming decade, blockchain technology will become an irreplaceable due to its features and no matter whatever profession you choose, learning blockchain will be an added advantage. Then, why not start at an early age right now? Distribution, enhanced encryption and tracing features - all these items allow blockchain to apply Internet Of Things (IOT) for automated transactions between “things”. Currently there are two methods to apply blockchain to IOT. The first is based on the existing platforms (Ethereum and Hyperledger) and the second is self developed blockchain. For a self developed blockchain to apply to IOT comes Raspberry Pi, a single computer board that can be used for many tasks that a computer does. Students using Raspberry Pi can build a private blockchain for testing and can create nodes for testing in ethereum blockchain. Raspberry Pi is perfect for running node, since it can be left running all the time as many students use their own computer for running node, but there is dedicated computing and storage cost and also the computer should be running all the time. 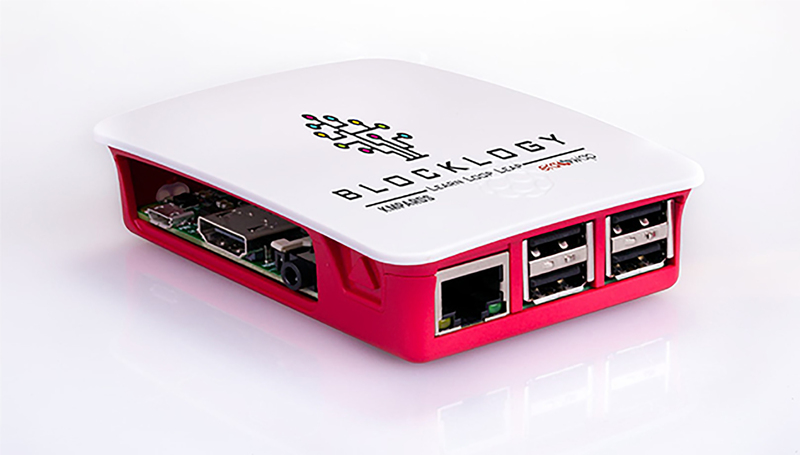 Blocklogy will launch its development hardware kit (Raspberry Pi) for students in next phase where students will use this kit for creating multiple applications. All this learning gives the students an edge over others. And learning it through Blocklogy eLearning Mobile App is always easy and user friendly.